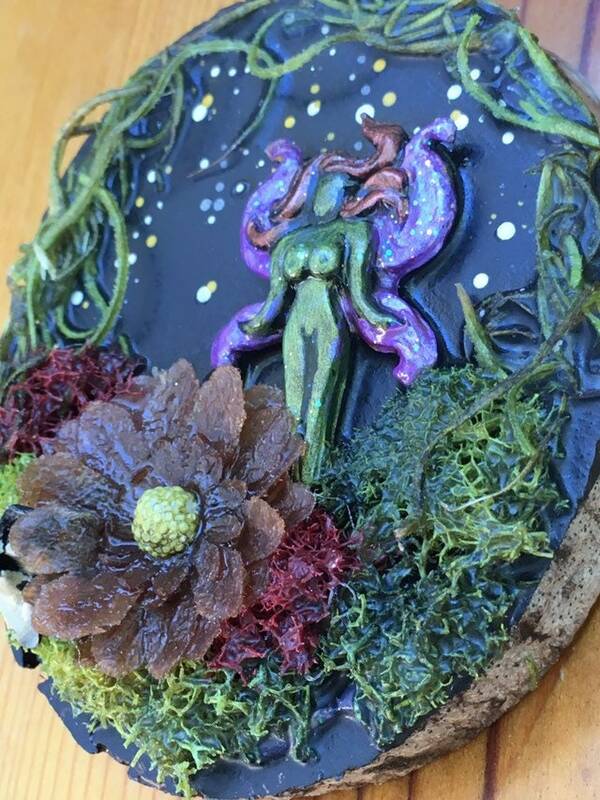 Mini Fairy art plaque. Perfect for girls room or gift for fairy lover. 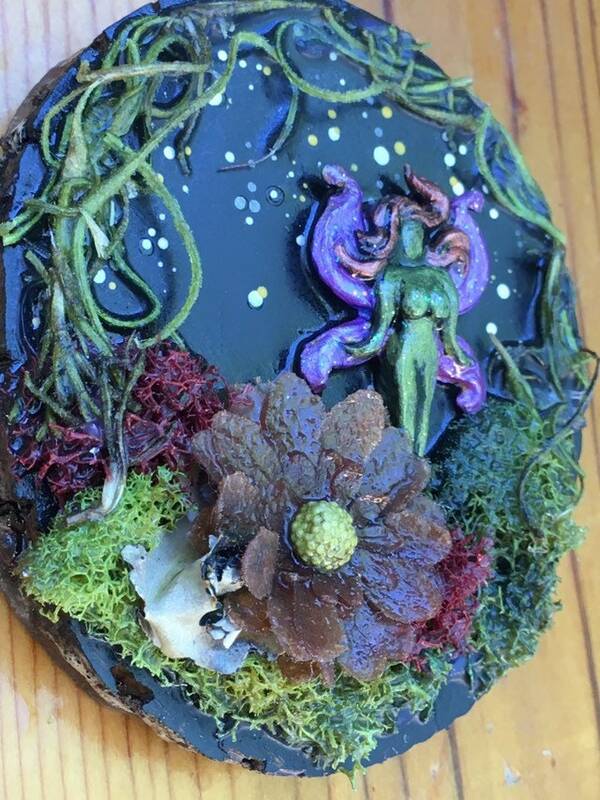 This Fairy Habitat is approx 3.5” round. 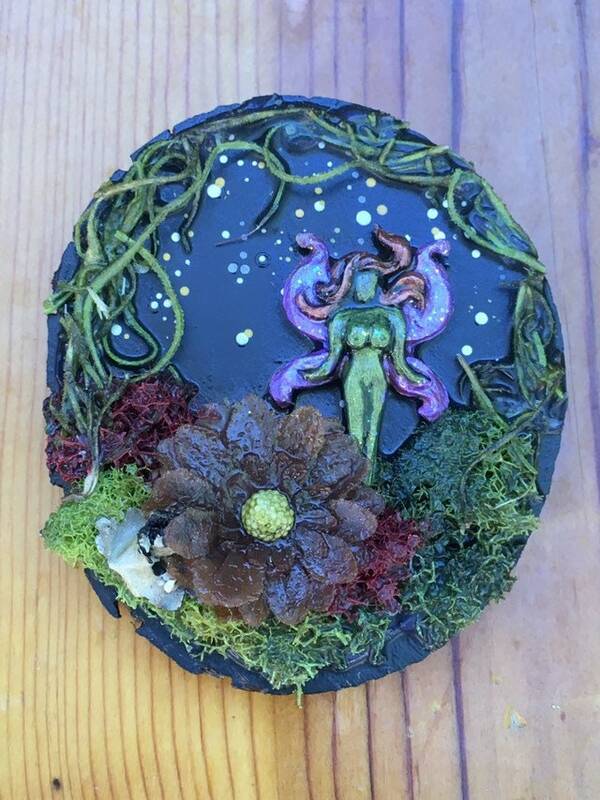 It features a cute fairy in her natural forest environment surrounded by flowers, twigs and tree moss. 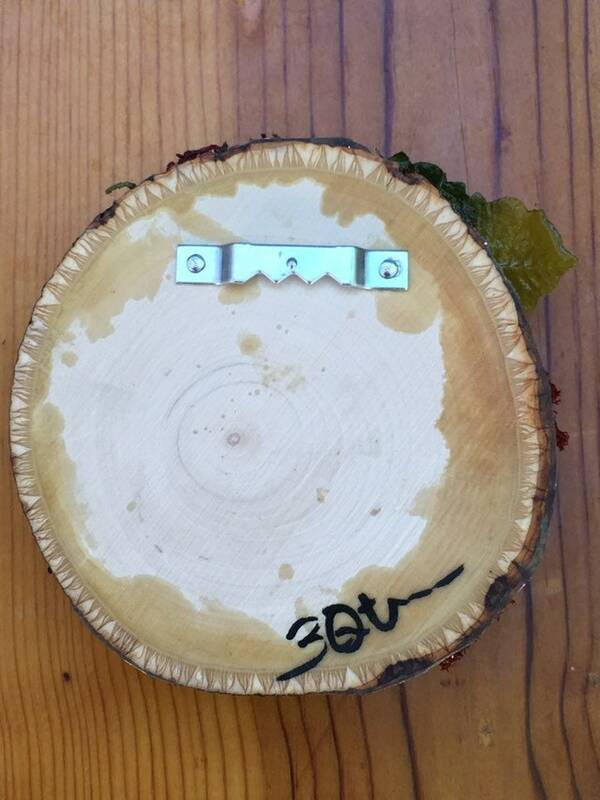 Designed and assembled by hand, this special plaque is made using natural materials and sealed permanently in resin.